Imagine driving along a road full of trees and not single truck in sight. Well, that may only be in our imagination but you can make the first part come true. Working in the concrete jungle can be pretty overwhelming and the fast paced environment can stress you a lot. For someone who works in the city deserves to have a place where they feel light and it’s as if there are no problems in mind. Everyone deserves to have a paradise at home. Now, finding that kind of place in a busy city like Makati or Quezon City will be truly hard so why not go down South? Laguna is a place where you can find hot springs, pools, parks, and don’t worry, there are malls as well! It’s true that the province is slowly being industrialized, but it doesn’t mean that they can or will get rid of the glorious hot springs of Laguna. So whether or not the industrialization of this province moves forward, being surrounded by nature will stay. When you finally decide on giving yourself a paradise in the beautiful province of Laguna, make sure to look for the place with the best quality and best neighborhood. If you’re not up for extensive researching, then today’s your lucky day! 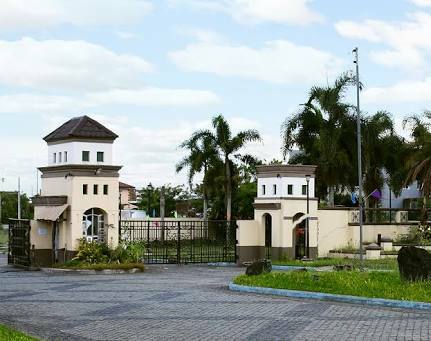 Calmar Land is a real estate company that has beautiful homes in Laguna and they will surely give you what you’re looking for. So look no further and pick up your phone and call Calmar Land now to see your next paradise!